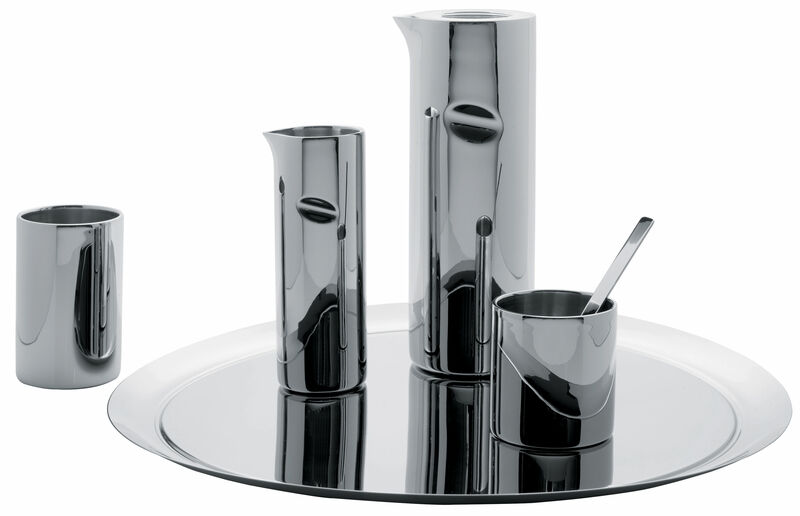 "This superb carafe to pure and elegant design is part of the new service to coffee and tea created by Jean Nouvel for Alessi. It corresponds to an evolution of the project presented in 2003 for the operation "Tea & Coffee Towers". The French architect remained faithful to the original model based on a cylindrical form, inspired from the sixties. 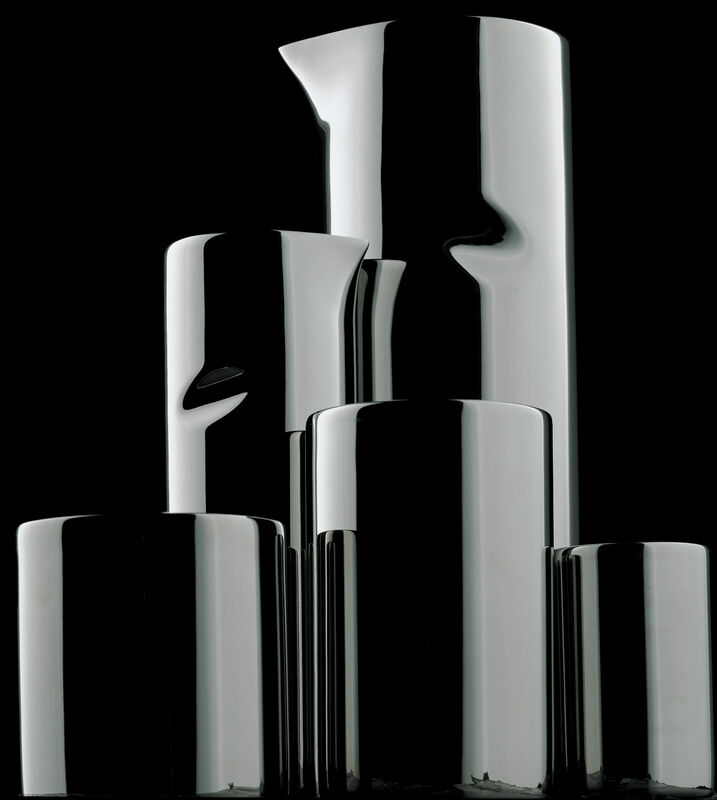 The usage of the stainless steel confers to the service a tremendous elegance. 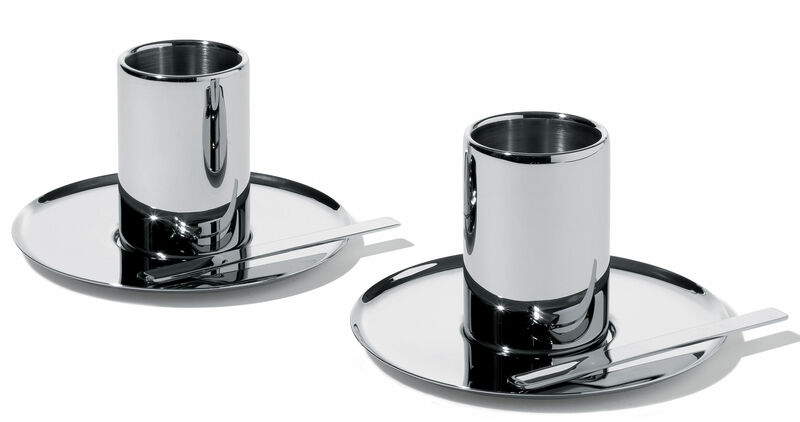 Carafe, compact and mugs are isothermes thanks to a double partition metal. A very beautiful serving tray as well as a sugar and jar to milk complete the service. "